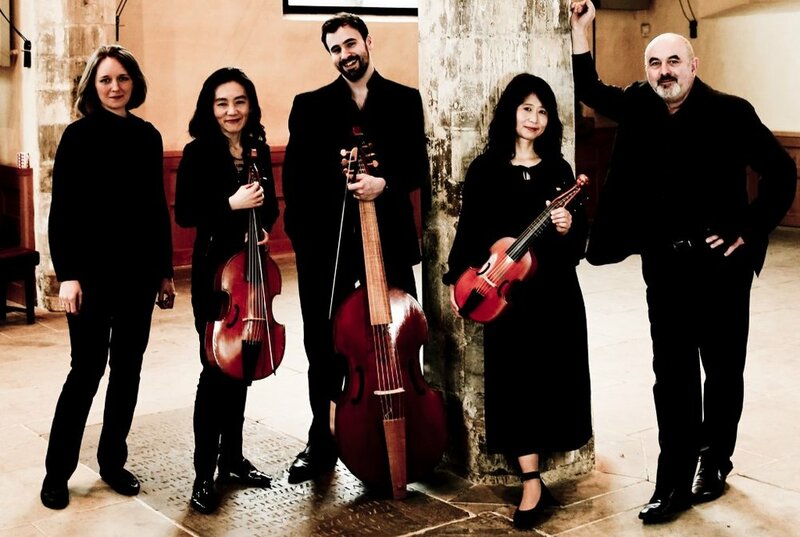 Few other ensembles can match the range of Fretwork’s repertory, spanning as it does the first printed music of 1501 in Venice, to music commissioned by the group this year. Their recordings of arrangements of J. S. Bach have won particular praise, but they have recently issued a disc containing music by Grieg, Debussy, Shostakovich, Warlock & Britten. This extraordinary breadth of music has taken them all over the world in the 25 years since their debut, and their recordings of the classic English viol repertory – Purcell, Gibbons, Lawes & Byrd – have become the benchmark by which others are judged. Their 2009 recording of the Purcell Fantazias won the Gramophone Award for Baroque Chamber Music. Learn more about Fretwork here. A free symposium on 16th century rhetoric and poetics and their relations to music. A free concert with the Princeton University Chamber Choir featuring consort anthems, anthems, and consorts for viols by Gibbons, Tomkins, Weelkes and more. A consort anthem workshop for viol players and singers in two sessions, 10-1 and 2-5.